One of the most endangered cat species in the world (along with the Amur Leopard), the Iberian Lynx is native to Southern Europe‘s Iberian Peninsula– an area that encompasses Spain, Portugal, Andorra and Gibraltar. Formerly classified as a subspecies of the Eurasian Lynx, the Iberian is differentiated by its coat– light grey or brownish-yellow with distinctive leopard-like spots– which is shorter than that of other lynxes (who tend to inhabit colder climates). The Iberian has the short tail, tufted ears and furry chin for which all lynxes are known, but it’s about half the size of the Eurasian Lynx: They average a shoulder height of 24-28 inches and a body length of 33-43 inches, with females averaging 21 pounds and males ranging from 28 to nearly 60 pounds. Preferring open scrub rather than the forests of its Eurasian cousins, Iberians hunt smaller mammals, amphibians birds and reptiles, usually at twilight. 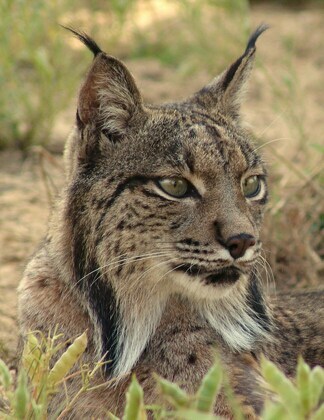 The Iberian lynx is currently the most threatened carnivore in Europe, with population numbers estimated around 100 in recent years after being at 400 in 2000 and 4,000 in 1960. 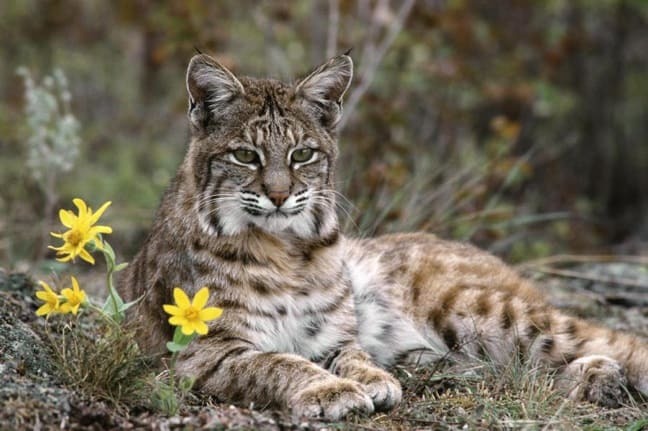 Its critically endangered status is primarily due to habitat loss from infrastructure improvement and urban and resort development, which has gradually broken up the lynx’s once-broad distribution area. Another factor is a gradual decline in the population of rabbits, their favorite prey, due to diseases such as myxomatosis and hemorrhagic pneumonia.